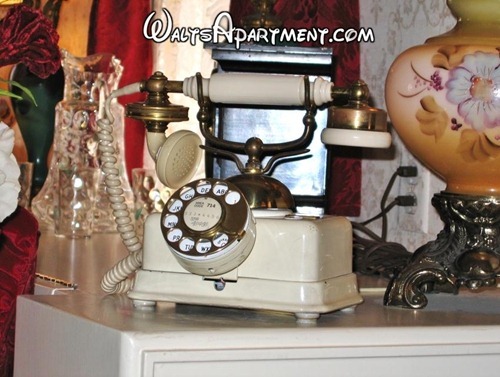 One of the neat items in Walt’s apartment is a Victorian style telephone. The phone still works, and is the only phone in the apartment. 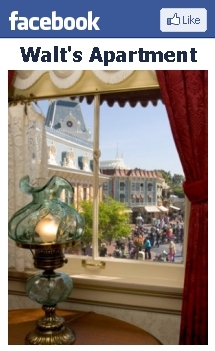 It used to have a direct-dial number to reach the apartment from outside the park, but in recent years the number has been redirected to the main information line for Disneyland. 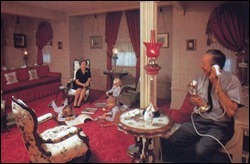 The rare photo of Walt and Lillian in the apartment while their grandchildren play, shows Walt using a “candlestick” style phone, which is different from this one. However, the phone pictured above was in the apartment in 1983. In 1986 Lillian stopped by on one of her last visits to the park to pick up some personal items from apartment.